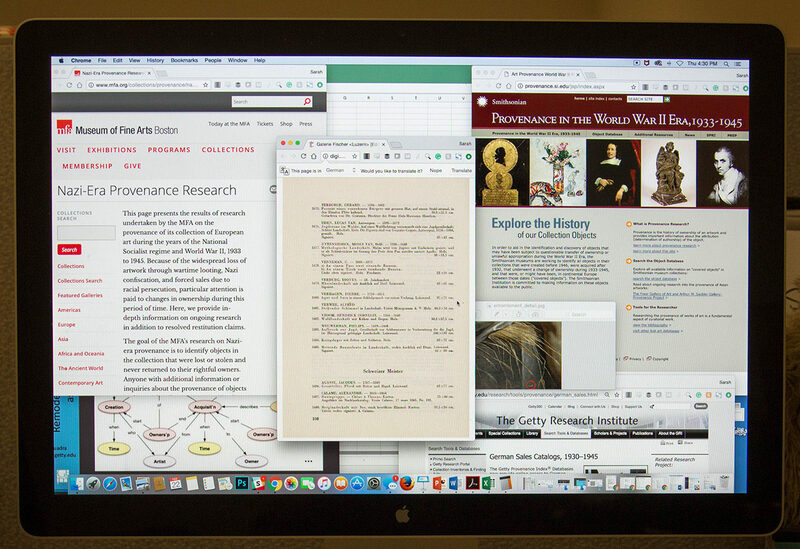 Many new web-based tools are available for provenance research—digitized archival resources as well as queryable databases from individual collecting institutions. Like the stories depicted in them, works of art have stories of their own. These stories—of how an art object travels, is bought and sold, and physically changes over time—are called its provenance. In the art world, the word provenance is sometimes weighted with anxiety and even anger. Provenance findings can be cause for celebration, or the end of hopes and dreams. That’s because the provenance of an artwork is often used to establish its value, especially when information like the artist’s name or creation date is unknown. Provenance research is key, for example, to establishing the authenticity of the proverbial masterpiece in the attic. Beyond its role in influencing monetary value, however, provenance is also extremely important to understanding art history. 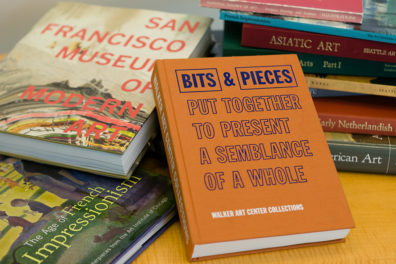 In fact, piecing together artworks’ stories—retracing their movements by connecting the dots revealed in archives—is the basis for an entire field of study known as the history of collecting and art market studies. Provenance research sheds light on how influential collections came to be, how artistic tastes changed over time, and even how broader lifestyle trends evolved. It further yields valuable information about artists, collectors, art dealers, curators, and other important historical figures. Provenance is also important to a more casual researcher, or to an art historian or curator whose main job might be something else entirely. For example, museum curators are especially interested in provenance for both legal and historical reasons. Provenance enables a curator to establish a complete story from the day the object left the artist’s hands until it reached its current collection. Because of gaps in the historical record, a “complete” story can rarely be established for objects older than a hundred years old, but closing those gaps remains the goal. Provenance research has traditionally been slow, painstaking, and even expensive. While some resources have been digitized—such as the records available in the Getty Provenance Index databases—much may only be available in far-flung physical archives. Moreover, provenance research requires specific skills and training that has not always been easy to come by. With greater attention to digitization and collaboration, however, the tools of provenance research are now rapidly evolving. To see what makes provenance research a complex and fascinating endeavor, let’s look at provenance issues from a particularly troubling period: 1933 to 1945, the era of Nazi rule in Europe. Though World War II ended over 70 years ago, researchers still have much important work to do on this period. The Nazis looted art systematically and on a massive scale, both from Jewish families and from residents of conquered territories across Europe. Hitler’s right-hand man, Hermann Göring, took objects both for himself and for Hitler’s planned museum in his hometown of Linz, Austria, a project that never saw completion. The Nazis even established a special task force to confiscate designated treasures and private art collections in Nazi-occupied territories. 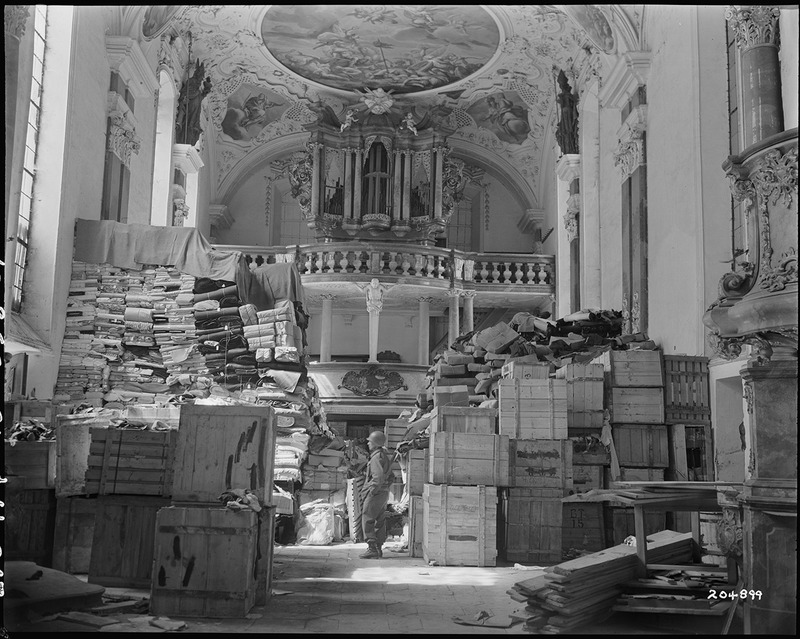 The National Archives estimates that some 20 percent of the art of Europe changed hands during Nazi rule—literally millions of objects. Despite the well-publicized efforts of the Monuments Men, little was done after World War II to return this stolen art to its rightful owners. Some artworks were destroyed in the war or were left miles from home with no records. Others were lost, only to be recovered years later. (You might recall the sensational 2012 news of 1,280 paintings found in a Munich apartment, known to researchers as the Gurlitt case.) Still others ended up on the art market and were purchased by museums and private collectors unaware of their troubling provenance. Twenty years ago, in 1998, international standards were adopted to address the problem of museum objects with unstudied Nazi-era provenance. Known as the Washington Principles on Nazi-Confiscated Art, the standards were adopted at a conference in the capital hosted by the State Department and the U.S. Holocaust Memorial Museum and attended by representatives from 44 governments, including Germany. The Principles define eleven guiding rules that invigorated museums across the US and Europe to review the Nazi-era provenance of their collections. The rules ask museums to identify works in their collections created before 1946 and acquired after 1932 that underwent a change of ownership between 1933 and 1945, or that were, or might have been, in continental Europe in that time period. Doing this requires meticulous provenance research. The same is true of heirs bringing restitution claims. To make a valid case, heirs must produce evidence of original ownership—which likewise requires provenance research. 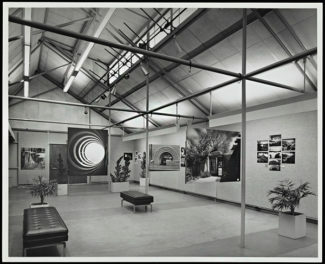 The most obvious impact of the Washington Principles was the establishment of programs across U.S. arts institutions focused on researching their collections. Museums began endowing curatorships specifically for this work, as well as launching public websites to be transparent about their findings. A recent restitution case highlights the importance, and potential complexity, of implementing the guidelines. In 2016 the National Gallery of Art in Washington, D.C., returned a drawing from their collection, having found that it was sold under duress in the 1930s by its owner, Viennese ethnologist Dr. Marianne Schmidl (1890–1942). The Gallery had acquired the sketch of leaves by nineteenth-century German artist Julius Schnorr von Carolsfeld as part of the Wolfgang Ratjen Collection in 2007, unaware of the provenance it carried. 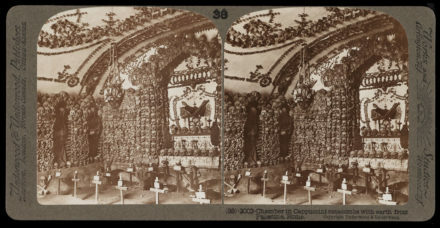 After being contacted by the heirs of the Schmidl family, the Gallery complied with the guidelines set forth by the Principles and returned the drawing. 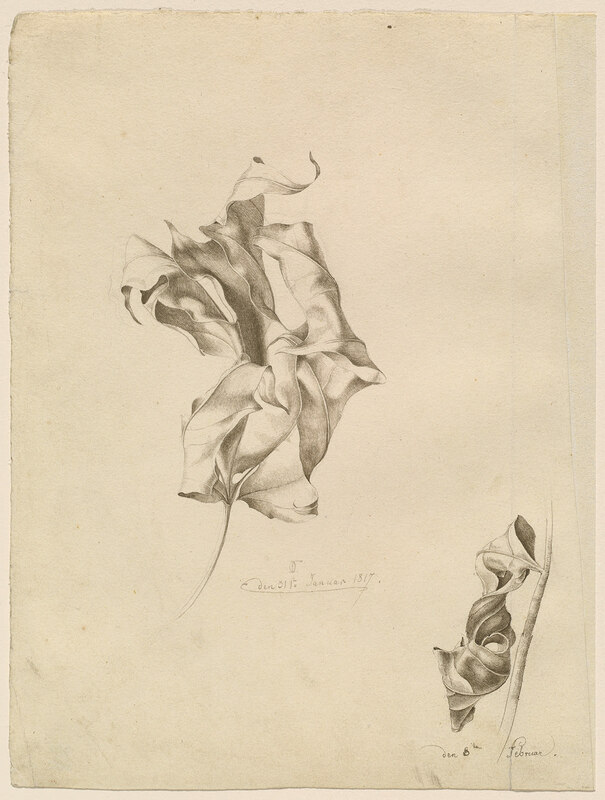 An amicable agreement was reached for the museum to retain another drawing from the Schmidl collection, Friedrich Olivier’s Shriveled Leaves (1817), in exchange for proper compensation and acknowledgment of its history. Seventy years after the end of World War II and twenty years after the adoption of the Washington Principles, museums are still actively researching the Nazi-era provenance of their collections. To contribute to that research, even highly trained museum professionals need to build specialized skills and knowledge in methods and resources specific to provenance. Any researcher or museum professional who works on Nazi-era provenance research can apply to attend the next PREP exchange, taking place in 2019. Look for forthcoming information from the co-organizers, the Prussian Cultural Heritage foundation (SPK)—National Museums in Berlin and the Smithsonian Institution, and their partners the Met, the Getty Research Institute, the Dresden State Art Collections, and the Central Institute for Art History in Munich. After the program ends in 2019, PREP plans to publish an online guide to World War II–era provenance research resources in Germany and the US to further facilitate research on art losses in the Nazi era. Provenance research has always been plagued by difficult access to information, but we may be at a turning point. More institutions are digitizing their archival records and making them available online. More provenance researchers are sharing their once closely held knowledge. More information is being made accessible about artworks looted in the Nazi era, enabling more artworks to be identified and restituted. And programs such as PREP are building research skills and resources throughout the museum field. As a provenance specialist, I hope these changes will continue to bring provenance closer into the mainstream of art history and museum work.